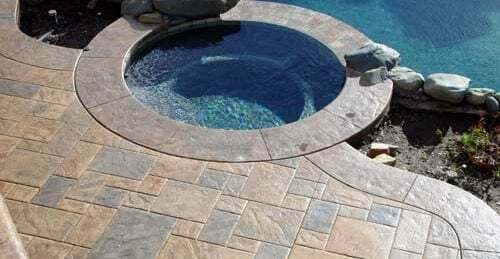 Tired of your boring pool deck? 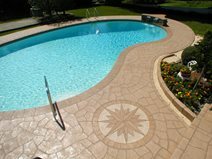 Resurfacing can spice up your old pool deck without the hassle of tearing out the old concrete and pouring new. 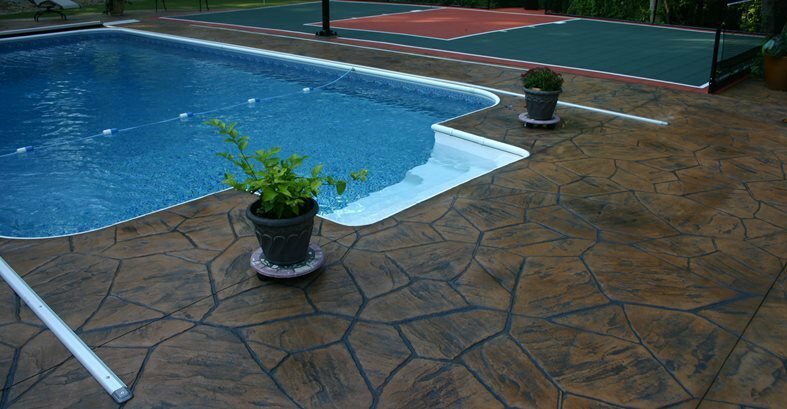 Resurfacing your pool deck can help you add color or create the look of natural stone, the possibilities are endless. This existing pool deck, installed more than 25 years ago, was in bad shape with extensive cracking and settlement. For budget reasons, the property owners elected to resurface the pool deck rather than demolish and replace the concrete. A cast-in-place overlay was applied and stamped with a fieldstone pattern and decorative medallion. Learn more about this project. 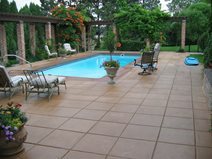 This pool deck was once a boring gray surface, but with the application of a micro-topping polymer it was transformed into a fresh colorful space. See before and after photos here.